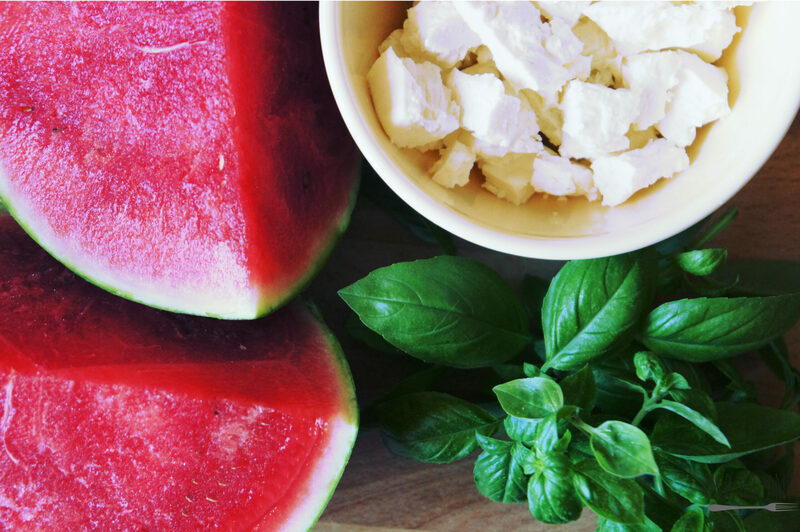 Last days of summer are behind us, it’s a good idea to recall them when the memory of the heat is still bright and try one of simplest salads ever – „watermelon feta”. It has, literally, two ingredients and it’s amazing both in taste and has the easiest way of making it! Arbuza pokrój w kostkę, ser pokrusz na kawałki, bazylię umyj i posiekaj. Wszystkie składniki wrzuć do miski, dodaj oliwę i ocet balsamiczny, posól i popieprz do smaku, dokładnie wymieszaj – gotowe! Ta sałatka najlepsza jest na świeżo, jak składniki są jeszcze zimne, ledwo co wyjęte z lodówki. 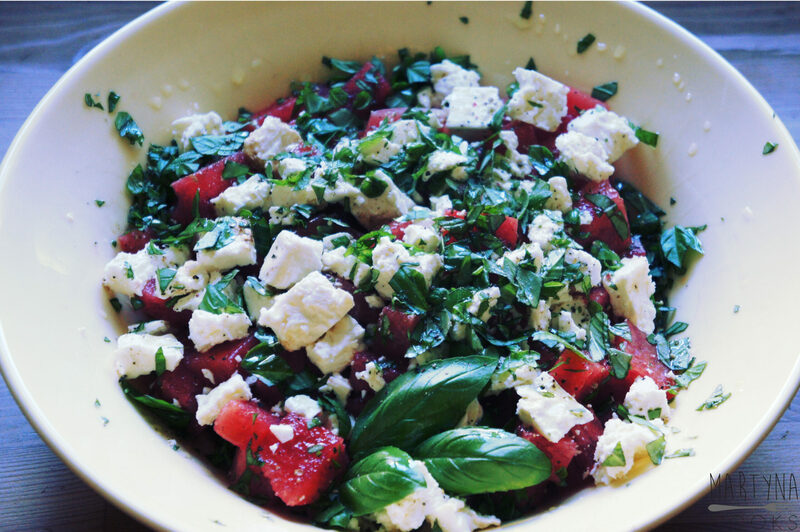 Cut the watermelon into cubes, crumble the cheese into pieces, wash and chop fresh basil. 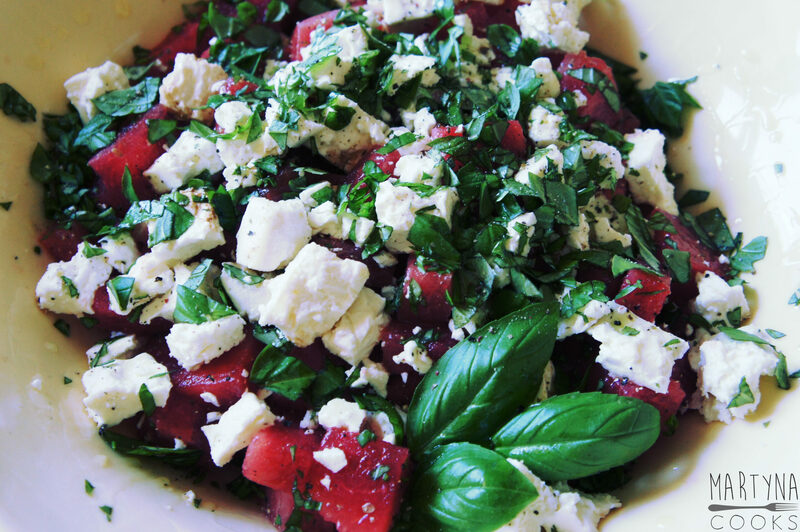 Put all the ingredients into bowl add olive oil, vinegar, season it to taste, and mix it all together – ready! 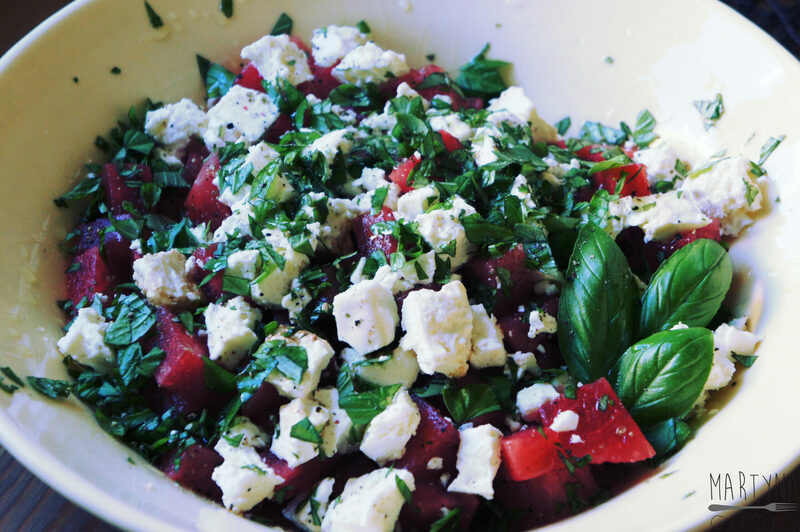 This salad is best when it’s fresh and, when the ingredients just left the fridge.